Govanhill Baths Community Trust will be closed from Friday 23 December until 10am on Wednesday 05 January. 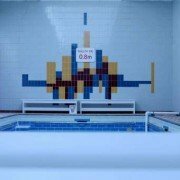 We would like to thank all of our supporters, service users, volunteers, out staff, and the people of Govanhill, for another successful year moving us closer to the ultimate goal of re-opening the Baths as a Wellbeing Centre. There is an exciting year ahead in 2017 as we move towards the start of the building work and are looking forward to seeing you all at our classes, services and events over the year. In February, it will be 100 years since the original opening of Govanhill Baths, we will be celebrating this centenary but marking it with the confidence that the future of the building is safe, for another hundred years. There will be opportunities to invest in Community Shares towards the refurbishment fund and to take part in historical and cultural events to celebrate the past and the future of Govanhill and the Baths. If you are looking to learn new skills, improve your health or just find a reason to get out of the house on a driech winter’s day, GBCT have a range of classes and courses available in the New Year. All of the courses are FREE and open to all, although priority will be given to residents in G41 and G42 postcode areas. Ous popular pottery classes return in February with classes for beginners and those who have a wee bit of experience. Our cookery group Govanhill Grub is back for 10 weeks from January. And the weekly knitting and crocheting club “Cast-Offs” returns on Mondays from Jan 9th. The monthly fishing club meet at the Baths on the second Monday of every month. 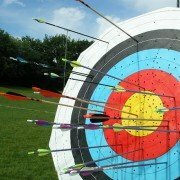 A new addition is Archery, with classes for beginners and use of the equipment for those who know how to use it. The archery will be on Saturdays in the big pool.